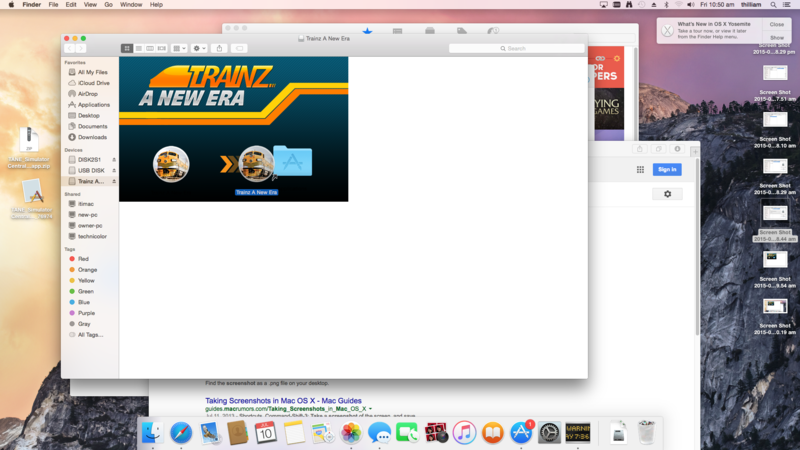 This article provides a step by step guide to installing Trainz: A New Era for Mac Box Editions. 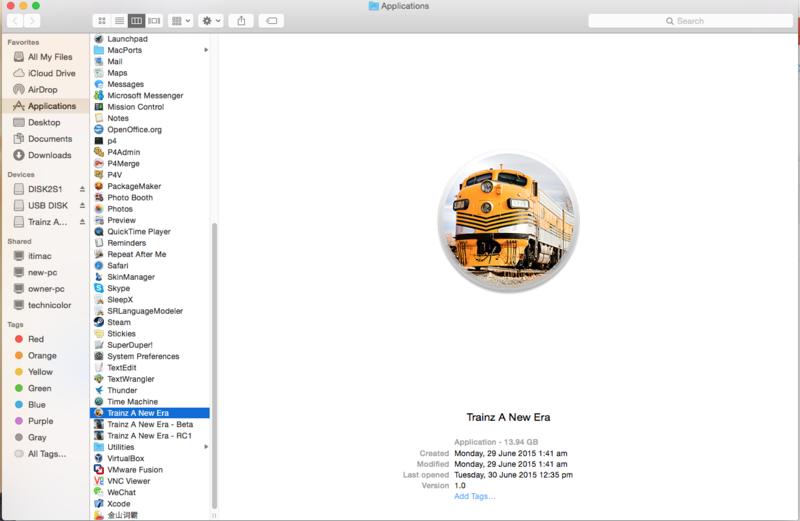 IMPORTANT NOTE: Your Mac version of TANE comes in the form of a .dmg file on a re-usable USB drive. It is important that you do not overwrite this file until you have installed Trainz. 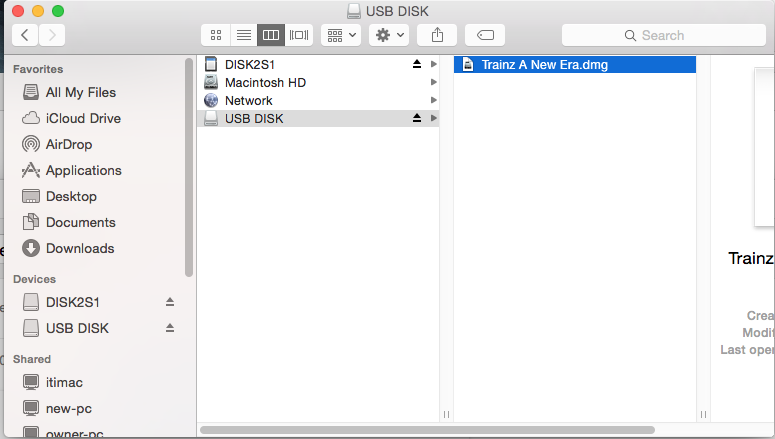 After you have installed Trainz, you can create a back-up of the .dmg file and then use the USB for other purposes. Overwriting the original .dmg file is done at your own risk. Insert the USB into an available USB port. Navigate to the Trainz A New Era.dmg file as shown below and double click on the file. The Verifying dialog will appear and check the drive for accuracy. 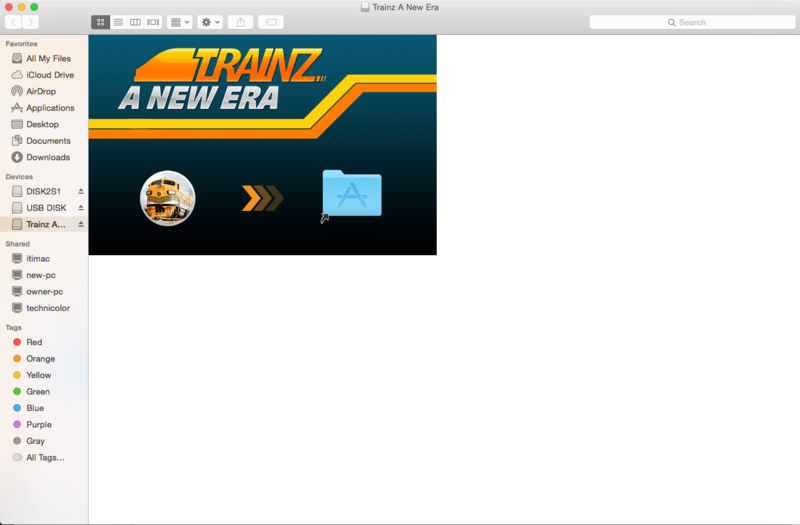 The Trainz A New Era icon then appears ready for installation. Provide authentication if requested (requires Admin privileges).